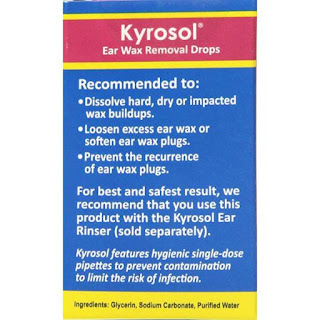 20 pipette refill for use with the Kyrosol ear wax removal system. Glycerin based ear wax loosening solution that unlike peroxide based systems is effective yet gentle on the skin. Natural, drug free drops. 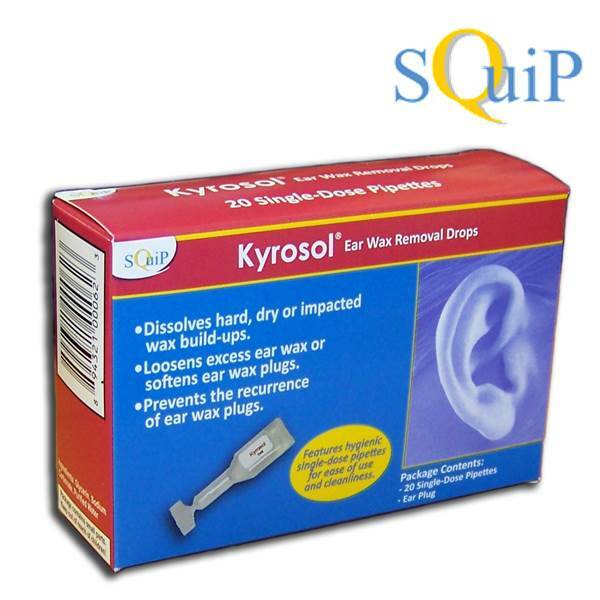 Kyrosol Ear Wax Removal System was developed to dissolve excess ear wax, soften ear wax plugs, or to prevent the recurrence of ear wax plugs. It is also used to dissolve and flush out hard, dry or impacted wax build-ups. 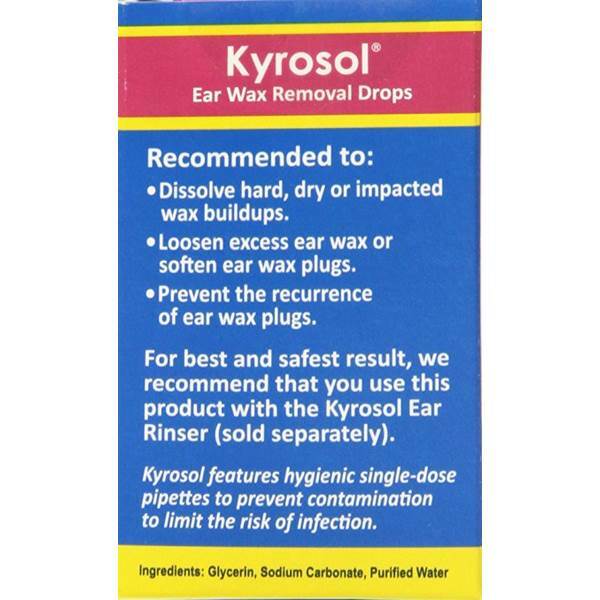 Kyrosol uses a glycerin-based, wax solving solution and was developed to dissolve and flush out hard, dry or impacted wax buildups. The syringe feature allows the user to control the flow for maximum comfort during the rinsing process. The single dose pipette not only makes it very easy to dispense the correct amount of solution into the ear, but is also very hygienic as there is no risk of contamination as with bottled ear wax removal solutions. - Use one pipette per ear. - Keep the pipette in your hand to let the contents warm up for better comfort. - Twist off the seal of the pipette; lie down on one side; pull your external ear out-backwards and - squeeze the contents out of the pipette into your ear. - Remain lying on your side and let Kyrosol work in your ear for approximately 20-30 minutes. - Heat a few cups of water and let cool to body temperature. - NOTE: THE WATER SHOULD BE WARM. COLD OR HOT WATER CAN CAUSE DIZZINESS, VERTIGO, OR NAUSEA. Also, using cold water will not properly rinse the wax out. - Extract the water into the Ear Washer. 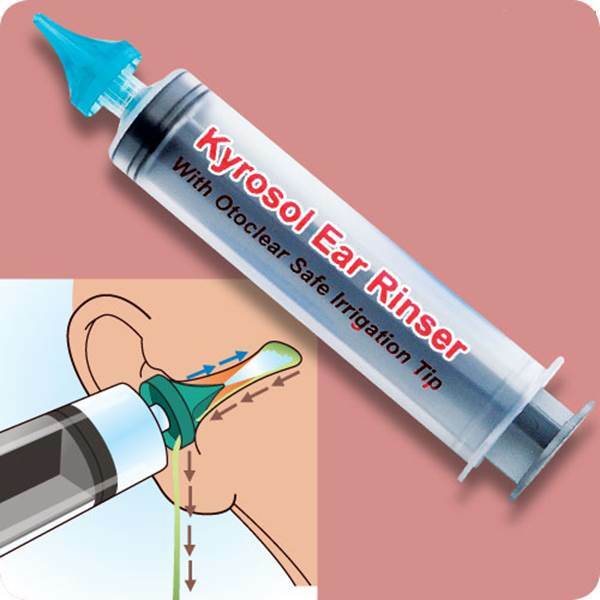 - Insert the tip of the syringe into the ear canal and carefully irrigate the ear while leaning over a wash basin or sink. - Repeat the irrigation a few times. - Should you feel pain during the rinsing process, contact your doctor. How to use the earplug? 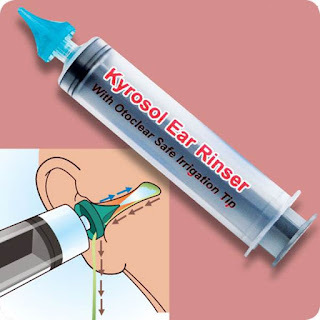 Using the ear-plug (included) prevents Kyrosol from leaking prior to the rinsing process. It will also allow for some limited mobility during the wax dissolving process. However, for best results, we recommend that you lie down on your side for the entire 20-30 minute period. Carefully twist the ear plug into the ear while you are still lying down. How to clean the ear washer? Unscrew the tip from the syringe, pull out the plunger and rinse all three parts with warm water - let air dry. How often should i clean my ear? If the ear wax plug does not dissolve the first time, repeat the treatment for an additional 1-2 days. 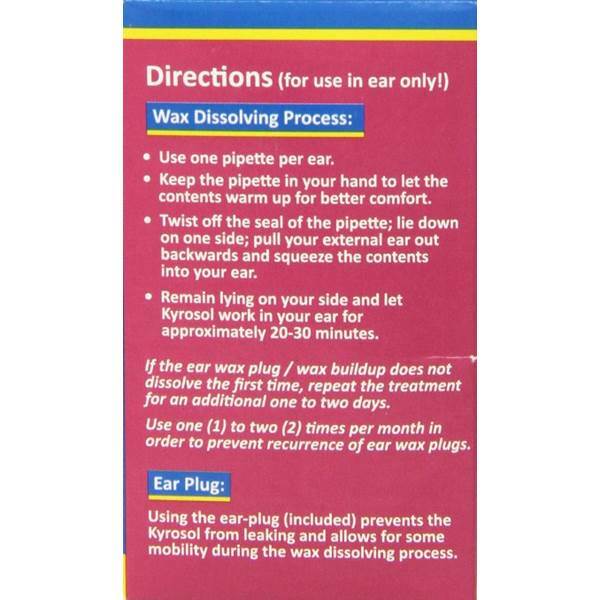 In order to prevent recurrence of ear wax plugs, Kyrosol may be used one (1) to two (2) times per month. WARNING: We recommend that you consult your physician before using this product. 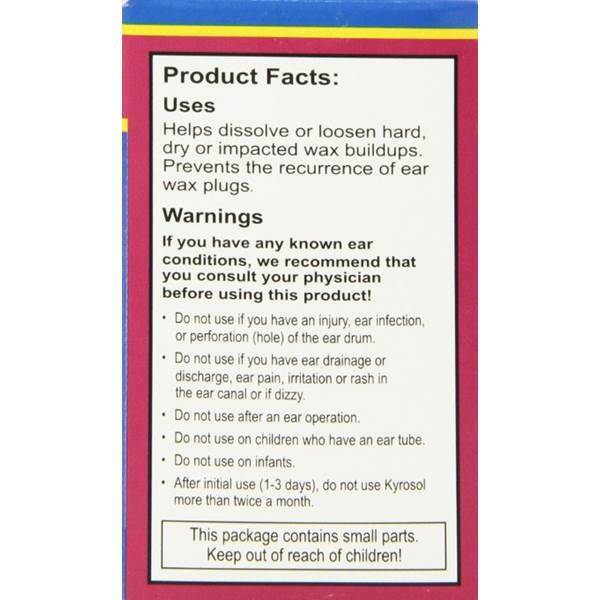 Do not use if you have an injury, ear infection, or perforation (hole) of the ear drum. Only use warm water for irrigation. Using cold water or hot water can cause dizziness, vertigo, or nausea. Do not use if you have ear drainage or discharge, ear pain, irritation or rash in the ear canal or if dizzy. Do not use after an ear operation. Children under 12 years of age - consult a physician. 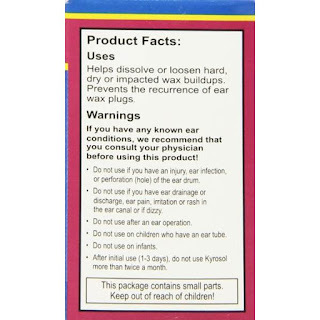 Do not use on children who have an ear tube. Do not use on infants. Stop using if wax remains in ear after use. After initial use (1-3 days), do not use Kyrosol more than twice a month.